Ashwagandha is a comforting restoring strength and stability. This warm, relaxing herb helps you overcome fatigue when you are feeling drained and depleted, or after a chaotic day. If you tend to feel scattered, anxious or "on edge," its heavy and nourishing qualities are renowned for helping you feel calm, sturdy, and steady. Say goodbye to the 3pm slump - ashwagandha will give you the endurance to get through the day feeling focused and driven. It's particularly beneficial at times of transition, such as starting a new job or moving house, which can be very stressful on your system. Its rooty, earthy taste is a sign of its ability to help you stay grounded amidst the change. 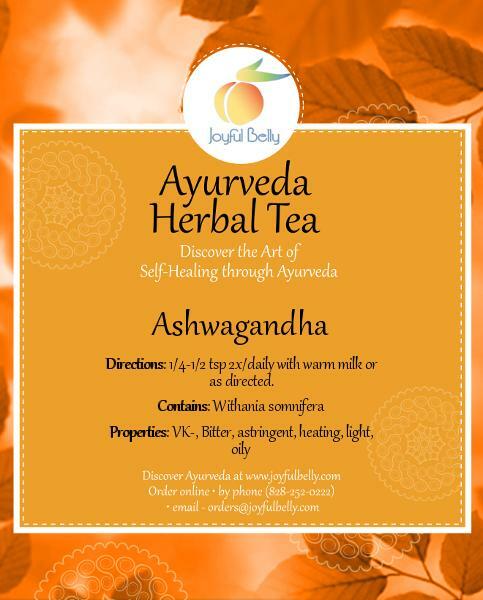 A warm mug of ashwagandha settles a racing mind and swirling thoughts. Drinking it at night will make your eyes feel heavy. You'll enjoy a night of restful, uninterrupted sleep. Do you feel easily fatigued and frazzled? Ashwagandha means "strength of a horse," suggesting its ability to make you feel strong, sturdy, and focused when your nervous system is frayed and exhausted in the middle of the day. Ashwagandha is unique as it has a dual action of both energizing and calming at the same time. It replenishes your storehouse of energy so you can be productive, alert, and focus your mind. It won't, however, make you feel jittery or anxious like a cup of coffee. 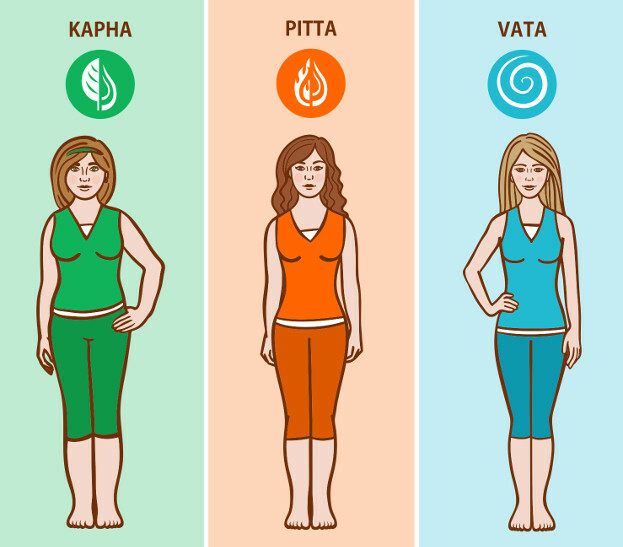 Instead, it alleviates anxiety frequently associated with Vata dosha. A nourishing herb, its nervine qualities calm the nerves and will bring you back to earth when you are feeling hyperactive. It doesn't take long to experience the effects of ashwagandha. One client noted, "I could feel the stress relieving effect from the first day." A renowned adaptogen, ashwagandha boosts the body's ability to resist stress, both physically and mentally. A client shared how ashwagandha supported them in times of stress: "It's like the saying, 'Keep calm and carry on.' I started taking [ashwagandha] from way back and it has gotten me through some rough and tough times." Ashwagandha is considered one of the best herbs for supporting healthy functioning of adrenal glands. It is a tonic for drained adrenals. Adrenal glands produce a stress hormone known as cortisol in response to stressful situations. Cortisol is essential for survival, but becomes harmful if it's chronically high. Studies have shown that ashwagandha may play a role in the reduction of high cortisol levels. "I have been incredibly busy lately with a tremendous amount of big milestones happening at home. They have left me emotionally and physically depleted. I wasn't sleeping well and was starting to get sick," a client explained. 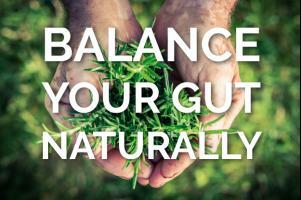 "When I started taking the ashwagandha ... I was able to handle the stresses of the day with a sense of being grounded," they continued. Ashwagandha is the perfect herb for insomnia because of its sleep-inducing qualities. Grounding and soothing to your nervous system, this heavy and nutritive herb relaxes you physically and mentally so you can drift easily into sleep, even while thoughts turn over and over in your mind. "I find it nourishing to my tissues, relaxing and grounding, and it helped me sleep like a baby," revealed a client. Another explained how ashwagandha helped them unwind after a long day: "I found it easier to wind down in the evenings and got off to sleep easier than usual." Not only does ashwagandha help you get to sleep, it can also improve the quality of your sleep. One client described their sleep as being "much deeper and longer lasting." Thanks to the restorative and rejuvenative qualities (rasayana) of ashwagandha, your sleep will become deeper and longer so you wake up fresh and ready to take on the day. Ashwagandha has been traditionally used to improve muscle mass and increase overall strength. Its anabolic qualities help build muscle, particularly in the weak, elderly or debilitated. A client reported they experienced "a sense of vigor" and that their "limbs felt stronger" with ashwagandha. A number of our clients have shared how ashwagandha has helped relax their muscles. One said that their "lower abdomen felt less tight." Another described the body wide warmth and satisfaction that accompanied this relaxing feeling: "My gut felt satisfied and my muscles and skin felt comfortable and warm." Stress and tension cause your muscles to tighten up, become stiff and maybe even sore. When you're feeling frazzled, ashwagandha nourishes your muscles so they stay loose and flexible. A little dose of ashwagandha can help keep your muscles comfortable and pain-free. As an anti-inflammatory, ashwagandha also support pain-free joint movement. Ashwagandha is used by both men and women as a reproductive tonic, but it is specifically known for revitalizing the male reproductive system. 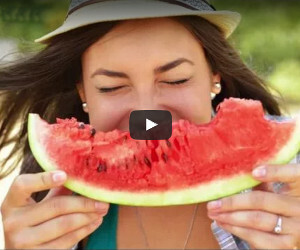 It can increase sperm count, sperm motility and boost testosterone levels. It's also used to increase libido as it is said to bestow the vitality and strength of a horse on the person who is taking it! In females, it is used as a uterine tonic as it strengthens the muscles of the womb. For women who may be iron deficient or experience heavy menstruation, ashwagandha builds deficient haemoglobin. Another popular female reproductive tonic is shatavari. While shatavari is more nurturing, ashwagandha is more strengthening and invigorating. When you are go-go-go, your immune system takes a serious hit. When your immune system is depleted, you tend to pick up coughs, colds and whatever else is "going around." Ashwagandha can help rev up immunity that has been weakened by a fast paced lifestyle. It improves white blood cell count and is often used in autoimmune conditions such as rheumatoid arthritis and allergies. Generally, ashwagandha is a warm, nurturing herb that relaxes the digestive tract. A client shared the comforting effects they experienced with ashwagandha: "It is soothing to my stomach and it warms me up like none other." Several clients noted improved elimination with ashwagandha. One said, "It bulked up my stools and elimination was softer than normal." Another shared, "Ashwagandha makes elimination easy and regular for me." A heavy, hearty herb, ashwagandha may weigh down weak or sluggish digestion. In some cases, it may lead to feelings of mild nausea. Ashwagandha is frequently recommended at a dose of 1/4-1/2 tsp daily. Its bitter taste gives way to a little underlying sweetness and feels pasty on the tongue when the powder is consumed alone. For a more enjoyable experience, we recommend Ashwagandha brewed into a cup of warm milk. This does more than improve the taste. The fats in the milk help extract the fat soluble components in ashwagandha, so you absorb more of the medicinal effects. 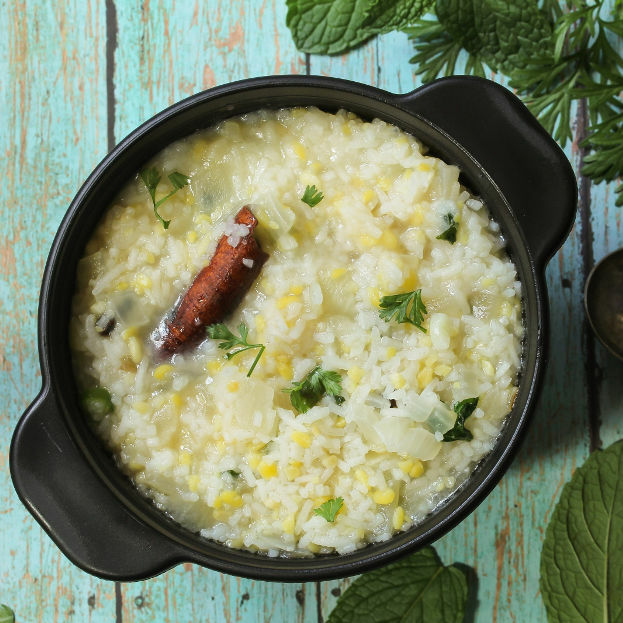 Simmer your milk of choice on the stove for 10 minutes, occasionally whisking through the silky ashwagandha powder to break up chunks. For those who are dairy intolerant, substitute a nut milk or rice milk. If preferred, ashwagandha can also be taken in capsule form. Vatas can sweeten their ashwagandha milk with some maple syrup and add a little pinch of nutmeg to enhance its sleep inducing properties. Kapha types should favor honey to sweeten, avoid cow's milk, and add a pinch cardamom if desired. The warming qualities of ashwagandha may be too heating for Pittas. They may find cooling shatavari is a more appropriate option. This warming herbs is rejuvenative for Vata and Kapha types. However, there are some circumstances when ashwagandha may not be appropriate to take, particularly if Pitta dosha is aggravated or stomach ulcers are present. If a person has a fiery disposition and aggressive tendencies, it may be best to avoid ashwagandha as it strengthens stubbornness along with heartiness. The heating qualities of ashwagandha make it a time-tested favorite for Vata Kapha types as they find the warmth a welcome relief. Pitta types need to watch out for overheating and excess sweating. 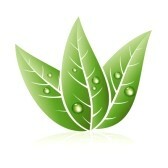 "After taking Ashwagandha, beads of perspiration broke out on my forehead and in my armpits," said a client. Another added, "I definitely felt hotter and perspired more." A heavy herb that is building in nature, ashwagandha should be avoided in cases of high metabolic wastes (ama). 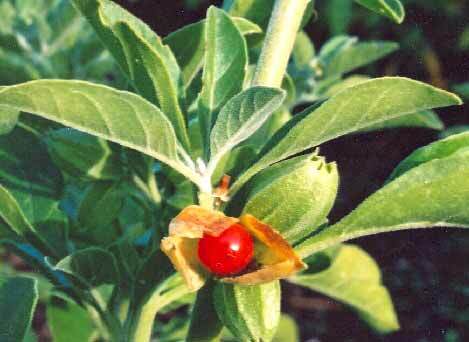 Ashwagandha is one of the few ojas building herbs that is suitable for Kapha. In fact, mounting evidence suggests it has anti-tumorigenic properties, and may potentially be used to fight and even prevent cancer. Ashwagandha should also be avoided during pregnancy. It is traditionally used in the East during pregnancy, particularly if the woman is weak. However, it is avoided in the West due to its spasmodic effect on the uterus. 1/4-1/2 tsp 2x/daily with warm milk or as directed by your practitioner. Ashwagandha may be beneficial for these symptoms. 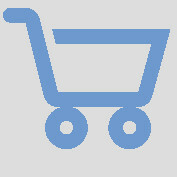 The suitability of any product for a condition is highly dependent on the individual. Please see your doctor before using this product to treat a medical condition. I cannot say enough about ashwangda! For me it's definitely a miracle herb! Is it okay to use warm almond milk instead of regular dairy milk? Yes, Stephanie, it is effective and tasty in warm almond milk. Add a little cinnamon for added flavor! I was told to take two capsul at night...but I couldn't sleep and felt restless. I have been drinking the tea before bed now for 2 weeks, and can honestly say it has made a big difference on my quality of sleep. Even if I wake during the night I don't feel panicky about not falling back asleep because I do! I am noticing a Huge difference in my mood, feeling more happiness and definitely less stress! Will order more soon I'm sure.